Champion – When coin-operated kiddie rides first appeared in the late 1940s & early 1950s what did every kid in America want to be? A cowboy. 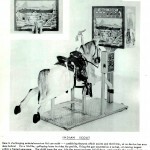 Knowing that every kid wanted to be a cowboy, the Bally company in Chicago made one of the first mechanical horse rides. They decided to borrow the name of a horse made famous by one of American’s most recognized cowboys – Gene Autry. 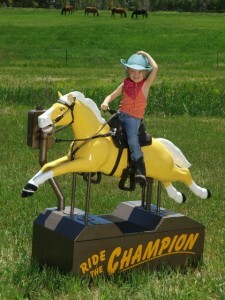 Bally named their horse Champion. Champion become a recognizable icon at grocery stores across the country. If you don’t want to spend for an authentic antique we can also put “Ride the Champion” on another horse for all the nostalgic look and feel without the additional cost. Many people, too, have us substitute the name of their horse in place of “Champion”. How cool is having a ride with your horses’ name on it!?! A favorite gift of any kid in the 1950’s was a pair of shiny six-shooters. Endless afternoons were spent playing cowboy. 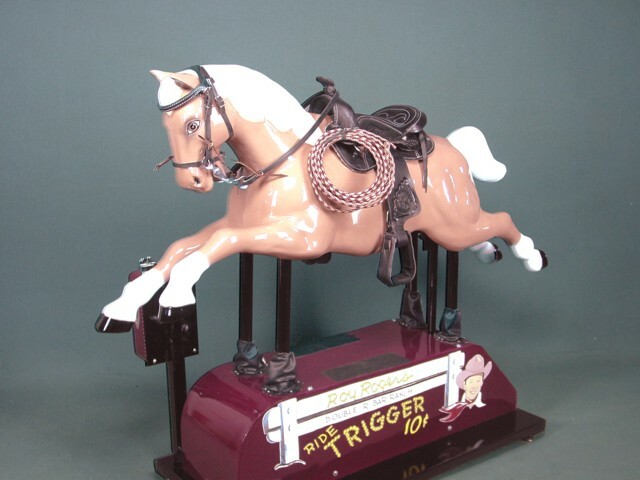 Appealing to the Roy Rogers in every kid, the original manufacturer – The Exhibit Supply Co. in Chicago – rolled out a beautiful mechanical coin-operated horse and named the horse Trigger. Now, one dime at a time in front of the grocery store or department store, every kid had a chance to be Roy Rogers – if, for only 60-seconds. Like with the Champion horse above, we can use this same Trigger decal on another horse for the nostalgic look without the antique price. Instead of the decal saying “Double R Ranch” as it originally did, we can put the name of your ranch or farm in the decal for something unbelievably unique! This mechanical vending ride is both extremely unique and extremely rare. 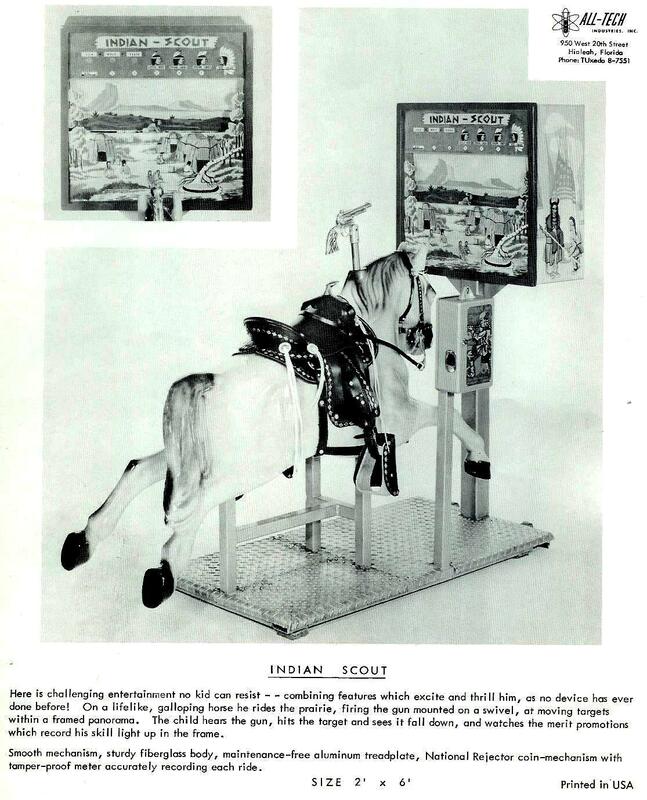 In addition to being a mechanical horse ride, it also has a motoscope for riders to “shoot” the scrolling targets. 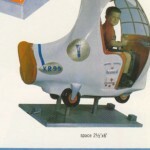 It is an amusement ride with few extras. This is definitely a classic. It was made by Alltech Industries out of Haileah, FL. This little miniature coin operated ride of Henry Ford’s legendary mechanical ride is perfect for a vintage car buff or a museum displaying icons from the 20th Century. 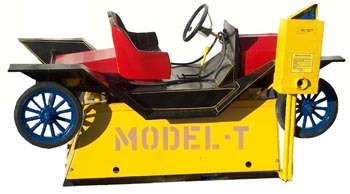 Bally made this Model T ride back in the 1950s. Knowing that Russia had already launched Sputnik and NASA’s Apollo program was in high gear, the eyes of all Americans were focused on the stars. 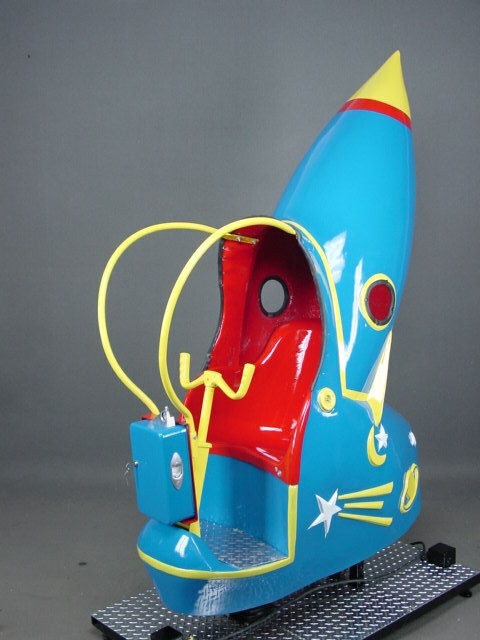 All-Tech Industries’ Satellite Explorer vending ride became a place for children to spend 60 seconds dreaming of fulfilling President Kennedy’s dream of putting a man on the moon. 10, 9, 8, 7, 6, 5, 4, 3, 2, 1 – insert coin! The Satellite Explorer was made by All-tech Industries out of Haileah, FL. 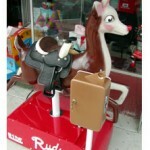 This is an adorable reindeer kiddie ride made originally by Chicago Coin in the 1950s. 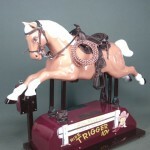 This same company also made the Trigger horse ride that you see pictured here. 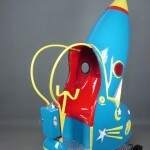 This ride was made by Exhibit Supply in Chicago. 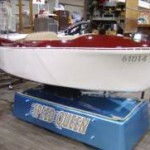 Super cool and nostalgic boat ride made by Bally. 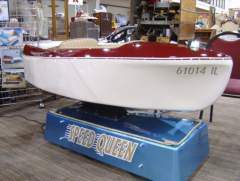 It has similar lines to a ChrisCraft and other wooden runabout boats of the era. 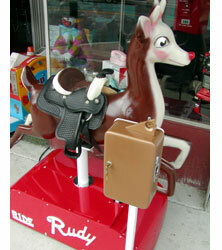 This is a classic coin-operated ride for sure!!! Seeing helicopters on the evening news became commonplace as these gravity-defying machines played defining rolls in military struggles from Korea to Vietnam. All-Tech Industries rolled out this coin operated vending machine during this same period. They called their chopper the Twirlybird. 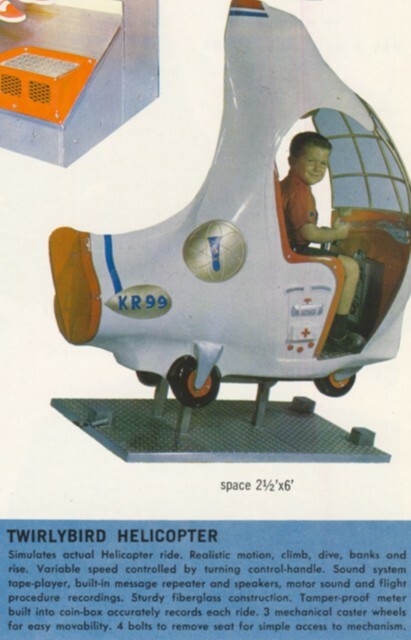 The Twirlybird provided kids all the thrills of hovering less the dangerous spinning rotors. 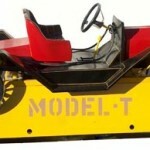 All-Tech Industries in Hialeah, FL made this classic ride.